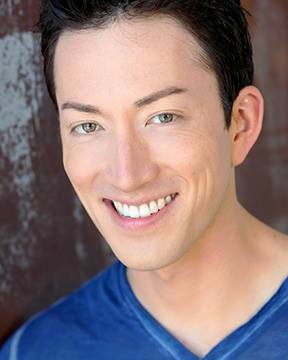 Todd Haberkorn, the new voice of Jadeite, will be appearing at a couple of conventions this summer that we’re watching. The first is Fan World, a cross-border convention in Niagara Falls (Ontario and New York state). 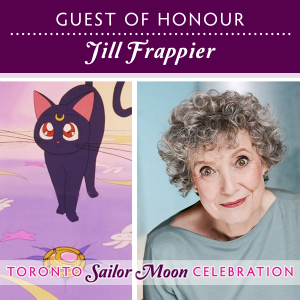 This event runs July 21-23 on the US side, and July 22 on the Canadian side in what they are calling a “Super Saturday” as it will be filled with as many of the guests as possible and a variety of events. Three day passes are currently $30 USD and Canadian Saturday only passes will be $25 CAD. Weekend and day passes are also available via online registration in USD. 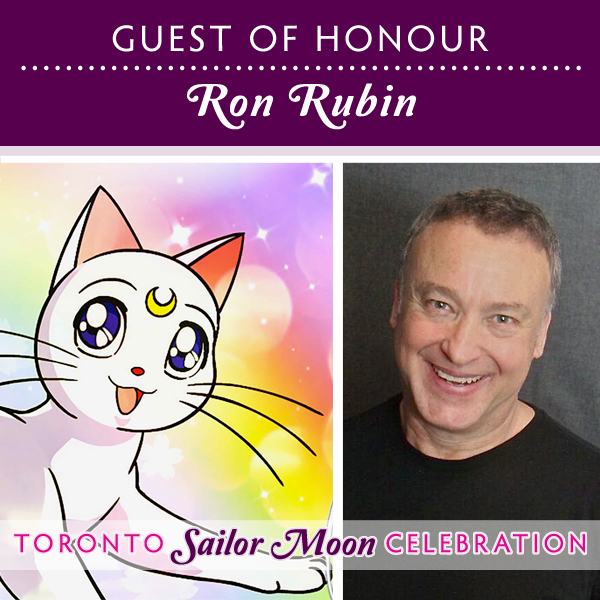 Todd will be joined by Roland Parliament (voice director for season 1 and 2 of the DiC dub and voice of Melvin) to talk with fans about Sailor Moon. 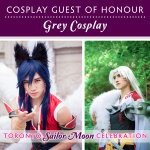 On the other side of Canada, fans in British Columbia will be able to meet Todd Haberkorn at Anime Revolution from August 4-6 at the Vancouver convention centre. 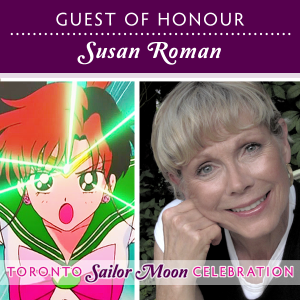 This convention has grown to be a fan favourite for west coast anime and Sailor Moon fans. 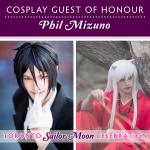 As mentioned previously, they have also announced Shizuka Itou (Sailor Venus in Sailor Moon Crystal) as a guest, so you will get to meet both American and Japanese actors from the Sailor Moon franchise. Three day pass tickets are approximately $75 +tax for the convention (currently discounted to $70 +tax). Single day passes are also available at the door and range from $50-$60 (plus taxes). Their ticket site is currently experiencing some technical difficulties, you may encounter errors in Google Chrome but you can try another browser for the time being. 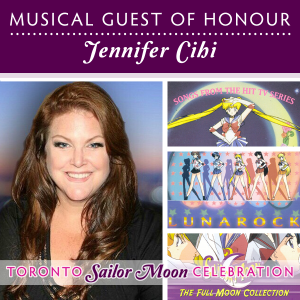 This year’s Anime North is coming up soon and Sailor Moon fans can look forward to quite a few highlights in the schedule including meeting Sandy Fox, the new voice of Chibiusa/Sailor Chibimoon in the Viz Media dubs of Sailor Moon and Sailor Moon Crystal. This is her first appearance in Toronto, so be sure to give her a warm welcome. 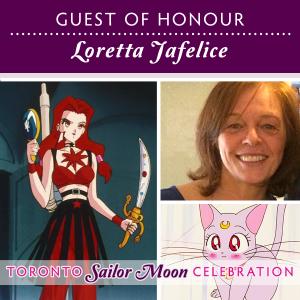 Anime North is one of my favourite conventions and I highly recommend it to anime fans in the Toronto area. It has a positive atmosphere, lots of cosplayers, and tons of programming so there is always something interesting to check out! It has grown to be a quite large event, so do keep that in mind if you are wary of crowds. There are places you can go that are less crowded such as panel rooms, but the dealers’ room is often packed as are the outdoor areas surrounding the Toronto Congress Centre (a.k.a. the TCC). For drivers, it is good to note that there is plenty of free parking available during the day at the TCC, but overnight parking needs to be paid for at the hotels. It is also advisable to enter the TCC parking lot by car through the Martin Grove entrance as traffic is less congested on that road (use the address of 1020 Martin Grove rd in your GPS for this). If you are taking public transit, keep in mind that TTC service will become extremely crowded during peak times, especially on the 52 Lawrence bus. There will also be a subway closure between St. George and Broadview stations on May 27th-28th. There are some possible route options listed here, however I strongly recommend carpooling if you can or planning extra travel time. There are NO express buses between the convention and the subway, expect to be delayed. And now for the part you’re really here for! The following is a breakdown of Sailor Moon related programming and a couple other items that might interest our readers. 7pm-10pm — Trigun Doughnut Eating Contest (International Plaza Terrace Café): a returning contest, it would definitely be a winner for our favourite Sailor Guardian who can’t resist a good snack! 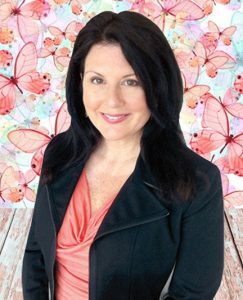 7:30pm-8:30pm — Q&A with Lex Lang and Sandy Fox (TCC Pinsent room, panel 1): Question and answer panel with Sandy Fox and her husband Lex Lang. Sailor Chibimoon and Goku! 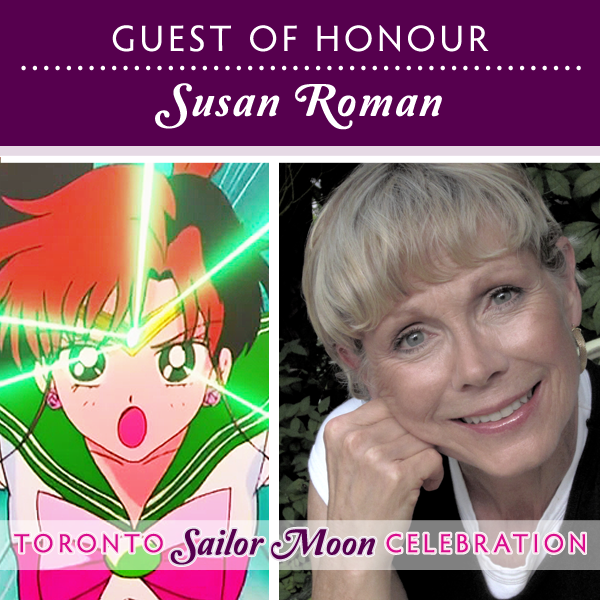 11:30am-12:30pm — Anime and Fandom with YTV’s Anime Master (TCC Waxman Room Panel 2): meet the Anime Master from YTV and take a look at how YTV influenced anime fandom in Canada. 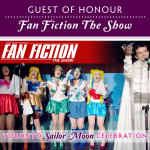 1pm-3pm — The Sailor Moon 25th Anniversary Game Show (TCC Cohen Ballroom): brought to you by Fan World and the Toronto Sailor Moon Celebration, expect a fun Sailor Moon themed game show to celebrate the 25th anniversary of the franchise! 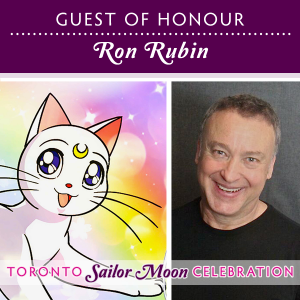 6:30pm-7:30pm — Sailor Moon Merchandise (TCC Berton 3-4 Panel 6): Presentation on the latest and greatest official merchandise and where you can get it. 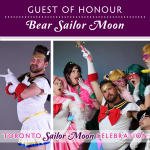 Brought to you by the Toronto Sailor Moon Celebration (and presented by yours truly). 7pm-10pm — Trigun Doughnut Eating Contest (International Plaza Terrace Café) — another chance to eat donuts and do your best impression of Usagi at the same time. She can certainly beat that Vash the Stampede guy in an eating contest. 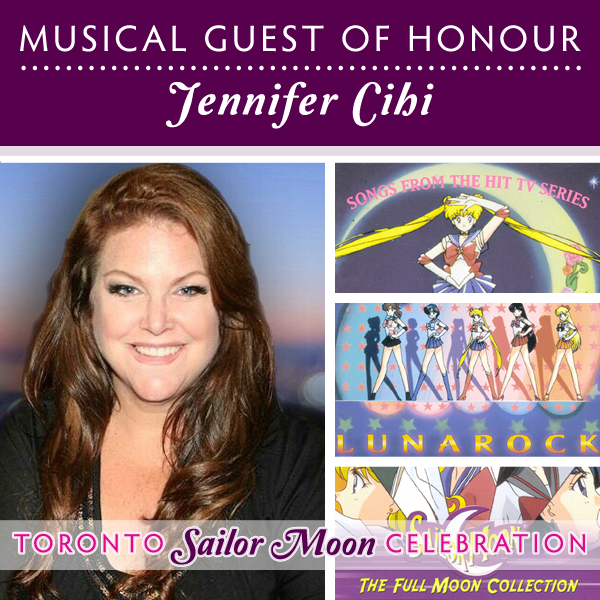 12:30pm-1:30pm — Sailor Moon Discussion Panel (TCC Berton 3-4 Panel 6): Come chat about everything Sailor Moon: the manga, the anime, the musicals, and more! There are lots of other interesting items on the schedule this year, so be sure to check out the full program here and make your plan for the weekend! 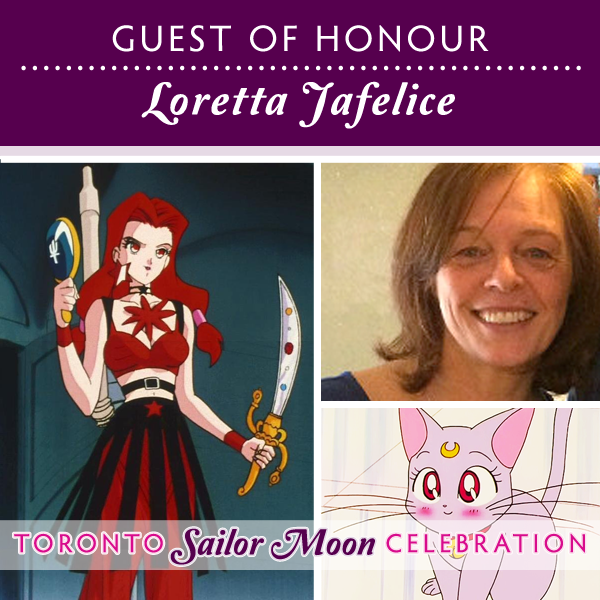 You can also meet some of the team for the Toronto Sailor Moon Celebration at booth #IA08 in the industry area in Hall F of the Toronto Congress Centre, near the entrance to the dealers’ room. 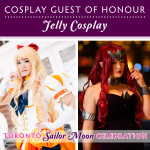 We will be giving away some fun freebies as well as selling tickets to this year’s Toronto Sailor Moon Celebration, selling buttons, and selling tote bags. Aside from programming that I’m participating in, you will be able to find me at the booth quite easily. 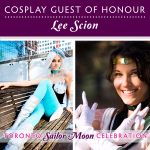 I will be running the Sailor Moon merchandise presentation, moderating/leading the Sailor Moon discussion panel, helping out with the Sailor Moon game show, and I will also be running a Social Media for Cosplayers panel on Saturday from 3pm-4pm in the Montreal room at the International Plaza. 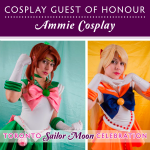 Passes for Anime North range from $35-$45 for a single day or $60 for the weekend. Weekend passes typically sell out in advance, so it is best to purchase those online if possible. Complete information on registration options is available here. 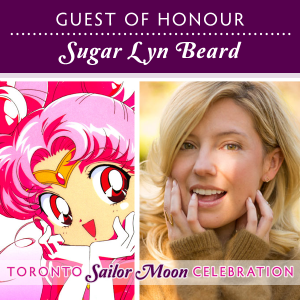 I hope to see you there and that you will have a great Anime North this year! Remember to take breaks and stay hydrated while also having fun.